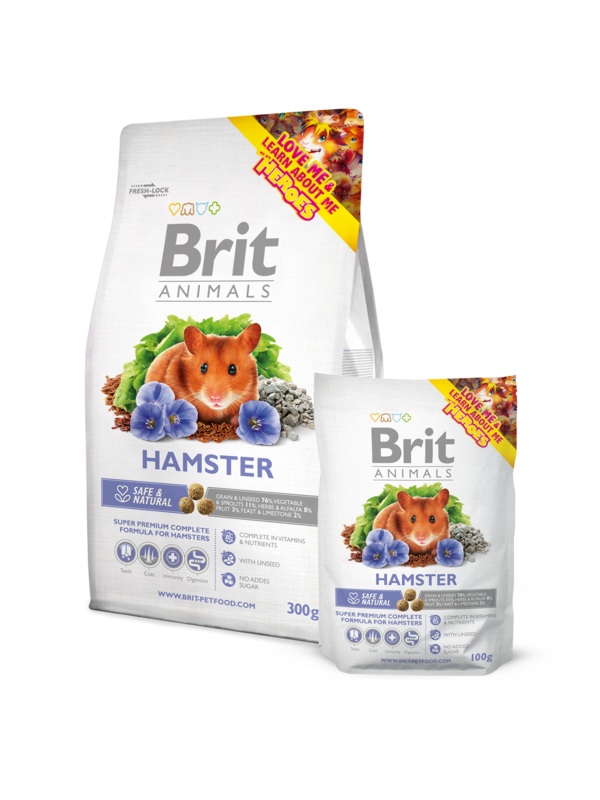 Super Premium Complete Food for Hamsters. Safe nutrition – contains essential vitamins and nutrients. Contains linseed - a source of omega-3 unsaturated fatty acids for shiny hair.